Especially during the spring and fall months, I tend to spend a lot of time in my garage making things. 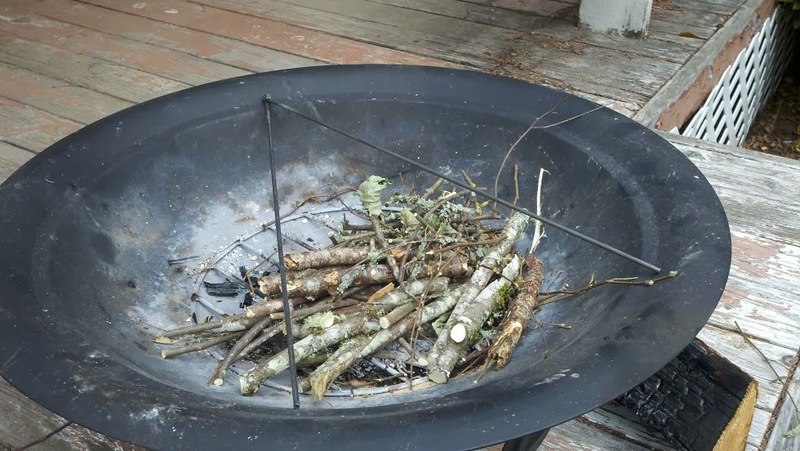 Here is one of my creations that didn’t take that much to build, but is VERY useful when out bushcrafting/camping. It is a takedown grill that also turns into a pot holder for use over your campfire. As you can see from the picture, I made loops at the end of each of the cross pieces as well as a loop and hook on the end of the longer side pieces. This allows me to adjust the spacing, location or even take the entire thing apart for transport. As a grill, it works quite well. 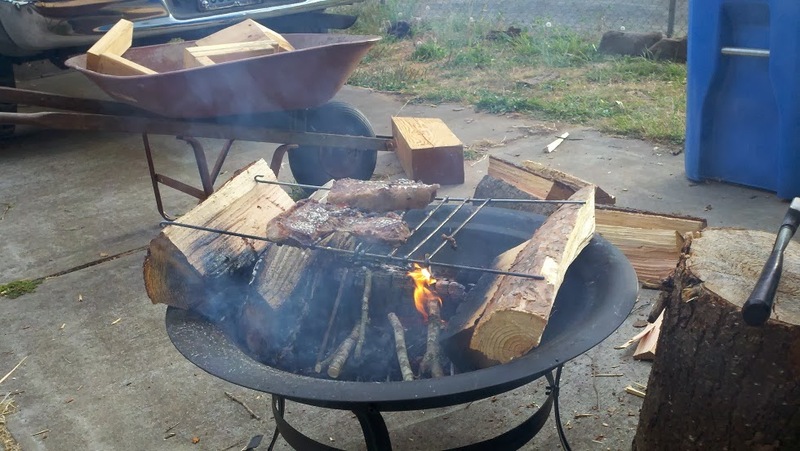 I have used it to a large degree as a way to cook steaks and brauts, but I am sure it will work for any number of things you could cook on a grill. Here is a good picture of how it looks cooking some nice slabs of steak. To make this, I just fired up a blow torch and bent the ends of the round stock metal into the desired shape. All told, I think I have less than an hour in the whole thing. This includes cutting my transport/carrier. For transport, I actually carry it in a PVC pipe with caps that I just tie onto the side of my pack. I did this for transport so that I didn’t have to even clean the grill before I put it away. I could just burn off the extra food that was stuck onto it and then just slide it into the pipe after it cooled off. 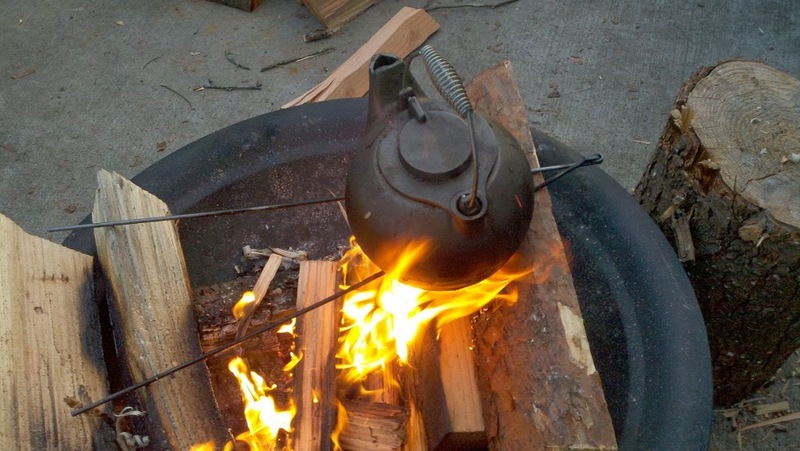 Remember that anything you can think of as possibly useful in the bush can probably be fabricated in your garage. Just take some time and play around to see what you can come up with. All told, I love this little grill and wonder all the time as to why I didn’t build one earlier in my life. It would have saved me a lot of hassle with the Weber replacement grills that I used to carry. 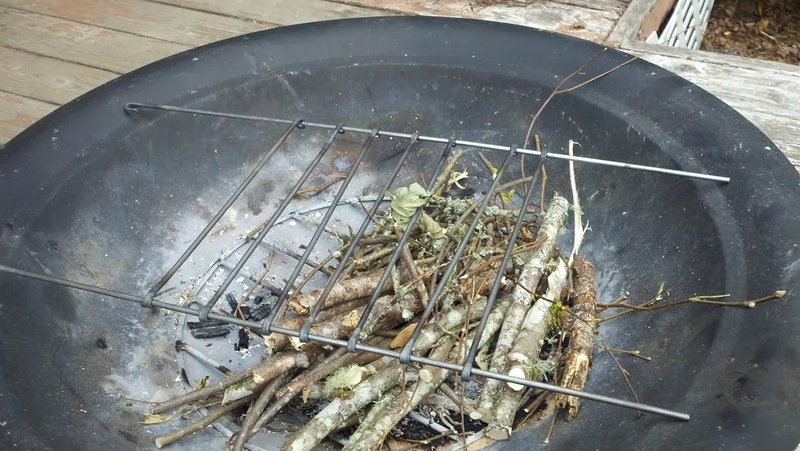 This entry was posted in Camp Techniques, DIY Projects and tagged camp cooking, camp fires, campfires, colapseable grills, cooking over flame, take down grills, takedown grills on December 29, 2014 by Woodsbum.